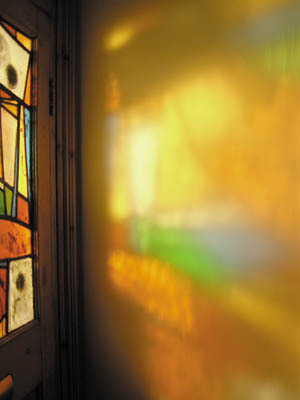 My work adds value to public and commercial environments where the therapeutic qualities of stained glass can be of particular benefit. Panels are suitable for community centres, hospitals, schools, hotels, restaurants, bars, cafés and work spaces. Interior designers and architects may choose to incorporate this artwork in to new-builds or regeneration projects. Contact me for prices and a site visit to discuss ideas.